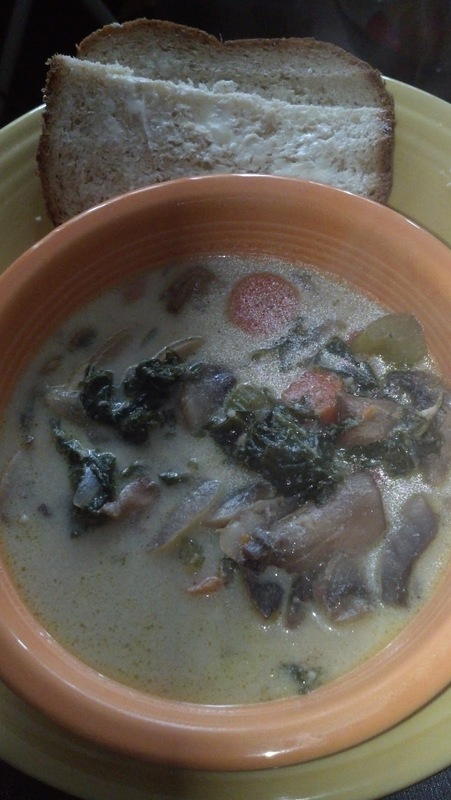 Beth Ann & Jessica's Helpful Savings: Mushroom & Kale Creamy Soup - Delicious with Homemade Bread! Mushroom & Kale Creamy Soup - Delicious with Homemade Bread! 2. Add in chopped mushrooms and kale, let it simmer down with part of your broth mixture. Add the rest of the broth, bring to a boil for 5-10 minutes until all vegetables are tender/wilted. Pour in half & half/cream and add cheese. Salt and pepper to taste. Let cheese melt.